If you have a number of staff working busily in your office, then sending Christmas ecards for business to your client base offers the opportunity to get everyone involved. Instead of getting the marketing department to write your season’s greeting, why not make it a competition that everyone can have a go at? It’s often a good idea to have fresh input, especially with something like marketing. Old tactics can suddenly become stale and giving the chance for your everyday staff to get involved with something creative helps to build office morale and make everyone feel that they have the chance to contribute. 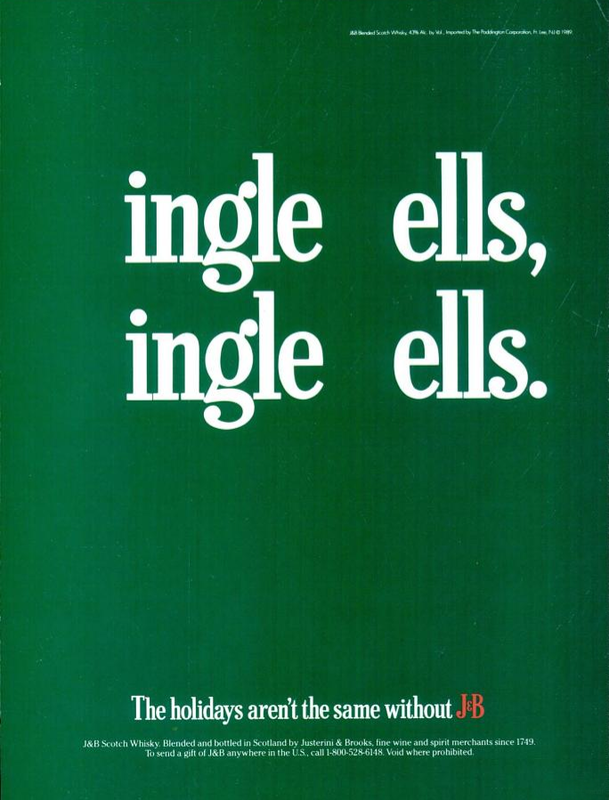 We suspect it was a team effort at J&B Whiskey when they came up with this great seasonal marketing ad.